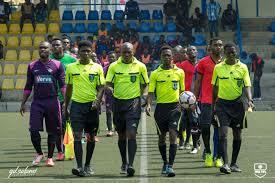 Nigerian League: Referees attacked in two match venues – NRA – Royal Times of Nigeria. The NRA President, Tade Azeez has expressed displeasure over the alleged attacks on some of its members at the opening of 2017/2018 NPFL season.He said some members of the association were allegedly attacked in some match venues during the Match Day 1 fixtures of the NPFL. The NRA boss expressed his displeasure in a statement earlier today in Lagos by the association’s National Publicity Secretary, Kelechi Mejuobi. Mr. Azeez explain further that such act was a threat to the newly kicked off league. Mr. Azeez, however, specifically made reference to the match involving Katsina United and Kano Pillars and the Nasarawa United and Plateau United’s match.